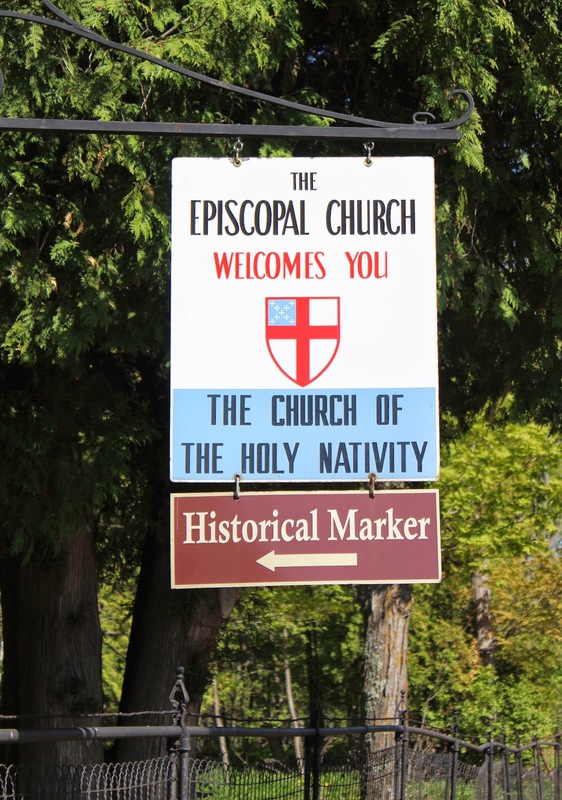 The Reverend W. R. Gardner founded the Episcopal Church of the Holy Nativity in 1882 to serve the Canadian Anglicans who had relocated to the area after the Civil War to cut and haul timber. Services were held once a month at the village schoolhouse. Later, $100 was raised to purchase 60 acres, sufficient for buildings and farmable land for a clergyman. 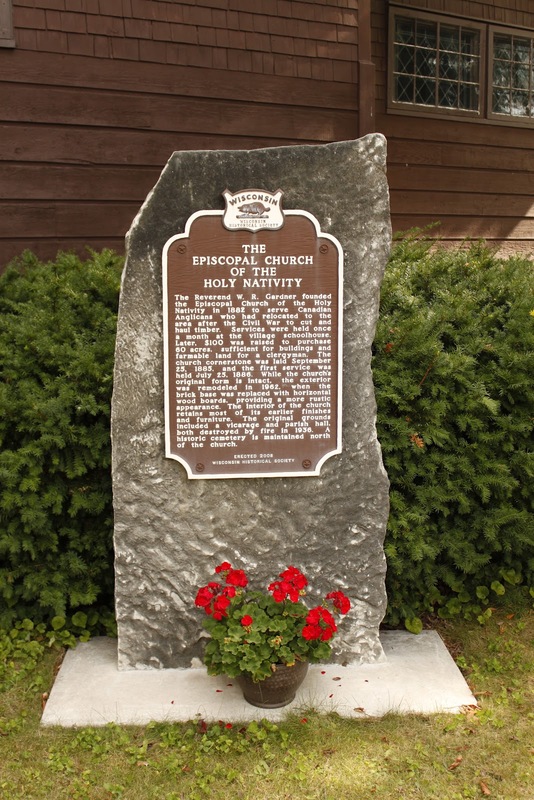 The church cornerstone was laid September 24, 1885, and the first service was held July 25, 1886. 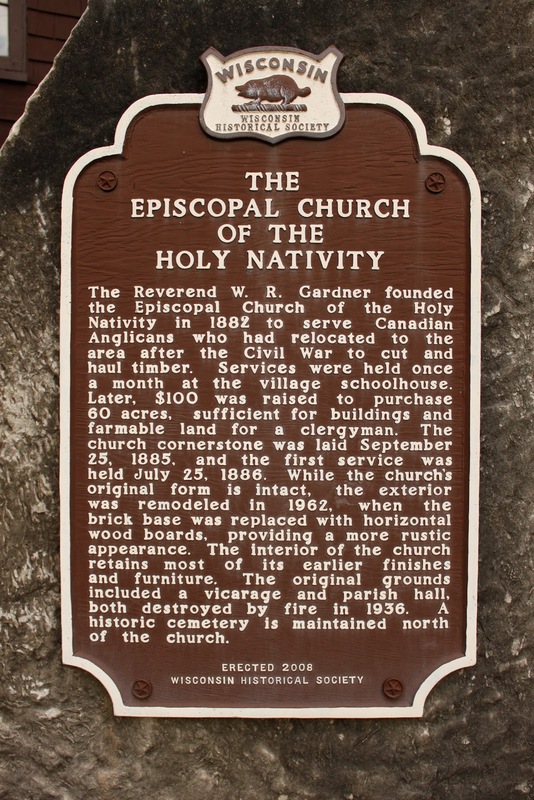 While the church's original form is intact, the exterior was remodeled in 1962, when the brick base was replaced with horizontal wood boards, providing a more rustic appearance. The interior of the church retains most of its earlier finishes and furniture. The original grounds included a vicarage and parish hall, both destroyed by fire in 1936. A historic cemetery is maintained north of the church. The marker is located on westbound County Route V, just west of its intersection with County Road A, at 3434 County V, Jacksonport, Wisconsin 54209. View of marker and church from across the street.